This is the sweetest little beach top you can find. 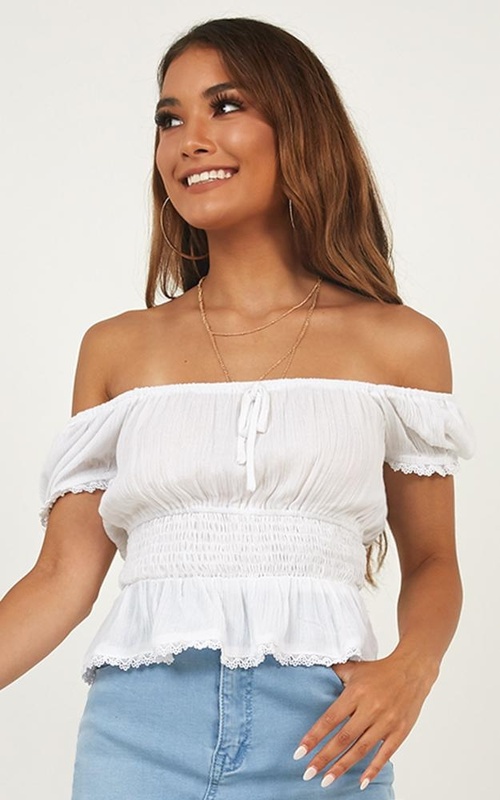 Our In Between Top is the perfect piece for those daytime events coming up. Wear it out to drink or maybe to a few celebrations, complete the look with some heels and a cute clutch. 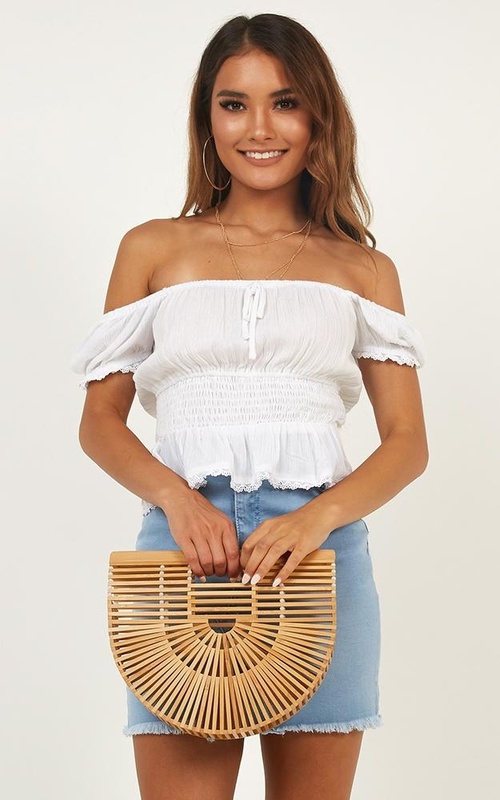 Cute top, will go with lots of stuff. Like a lot of white fabrics, is a little see-through, so be careful of the bra chosen to wear underneath.